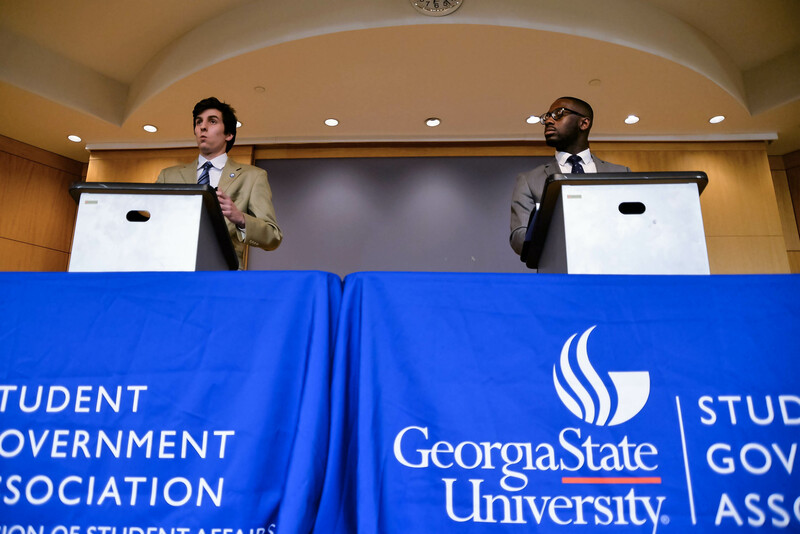 At Georgia State, the Student Government Association (SGA) is the interceding power that first addresses the concerns of the student body before they can reach University President Mark Becker. The SGA has the power to address Becker directly and has often taken advantage of that when under former SGA president Onwuzurike Fortune. Over the 2016-2017 academic year, the SGA has addressed several concerns from the students. One of the most prominent concerns was the buying of Turner Field, which the United Students Against Sweatshops (USAS) believed would result in the gentrification of the communities surrounding Turner Field. USAS has repeatedly interrupted SGA meetings to protest Becker’s decision to not sign the Community Benefits Agreement (CBA) that was drafted by communities that will be affected by the project. The SGA finally met with USAS to discuss their concerns. SGA drafted a bill which would solidify their support in having the officials from each community present in meetings concerning the Turner Field redevelopment. This is just one of the internal affairs that the SGA has weighed on, but they also have the power to sign on external affairs as well. House Bill 280, dubbed “Campus Carry”, which allow firearms on Georgia college campuses, was passed by both the Senate and House and sent to to Gov. Nathan Deal on April 5. Before it could be signed into law, SGA decided to write a letter to Gov. Deal to express their disapproval of the bill in hopes of dissuading the signing of the bill. In the end, the Campus Carry did pass, but the SGA was still able to take a stance on behalf of the student body. Enjoying this article so far? 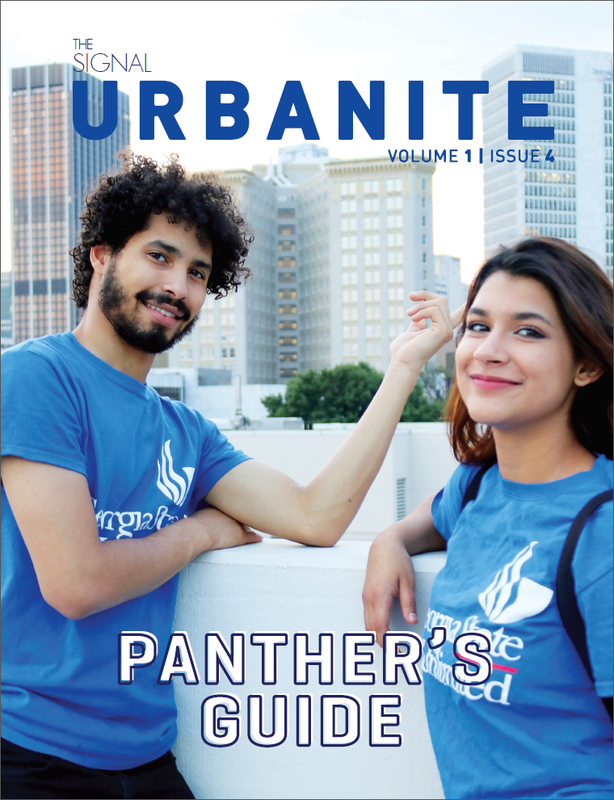 Click here to check out more like it in our Summer Urbanite ! Most importantly, there’s the annual SGA elections where you can exercise your rights as active members of the student body by either running yourself or voting. Regardless of what you do, The Signal will be sure to cover the election. Traditionally, there are two debates: one including the presidential and executive vice president candidates and another with the senators candidates. Both debates will be broadcasted live on The Signal’s YouTube page after having individual interviews with each candidate to uncover their intentions and goals for the SGA. This year, there was a race between three presidential candidates and the original election, hosted online through OrgSync, resulted in a runoff. The runoff concluded with Corey Grey becoming the newly elected SGA President. Though voting is a right given to all students of Georgia State, the issue stressed by most of the candidates for SGA is that voter turnout has not been what it should be. So even if you don’t like public speaking, you can still do your part by voting in next year’s election.